This is the 3rd and final part of this story. Here’s links to part 1 and part 2. I don’t know if it was the Depression, or the loss of Louis, or Louisa getting older, or a combination of all three; but 77-year old Louisa BEDECKER was no longer working or running a farm on the 1930 census. Louisa was living in the same place as 1920. Also living there was her son-in-law Melvin, 36, who was a helper at a quarry; her 18-year old granddaughter, Alice; and her 50-year old daughter, Katie Naill. Neither Katie or Alice worked. Carrie BEDECKER EWARTOFSKI (age 47) and her daughter, Hilda (age 25) lived together. Carrie was still managing her farm. Maybe she was managing Louisa’s farm property, too. Hilda worked as a saleslady in a department store. Louisa EWARTOFSKI ENOS and her husband, Guy, had moved to Baltimore where Guy was a conductor on the street railway. They had two children. Except for a notation about her in Hilda’s obit in the 1960’s, I didn’t find anything more about Louisa and only bits and pieces about her children. The family shrunk again with the loss of matriarch Louisa, although I don’t know exactly when she passed. I searched the Maryland death index and didn’t find her. A newspaper search turned up nothing, and she isn’t noted to be at Wards Chapel cemetery which would be the likely place for to be. She doesn’t appear in the 1940 census that I can find. In 1940, Melvin and Katie and Alice are living together in the same house, likely Louisa’s house that was left to one of them. I can’t find anything more about Katie after this census. Katie had no children that I could find. Carrie, still in her farmhouse, is no longer working. 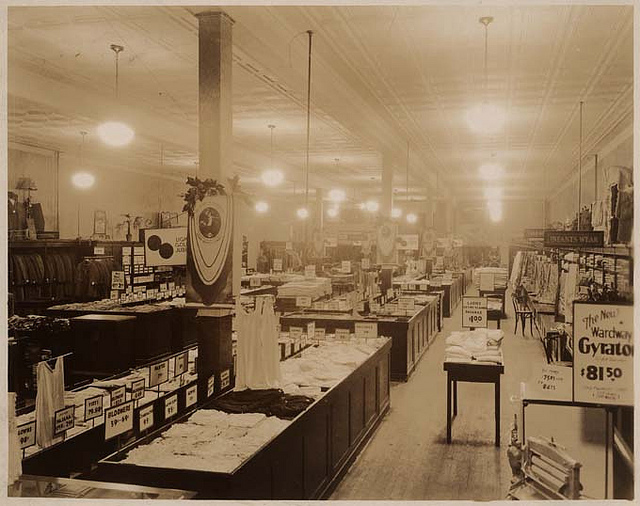 Hilda is now working in the service department of a department store, likely the same one she worked at in 1930. I imagine that Carrie rented out her land for others to farm. I know she did years later because once when I was a kid because I got scolded for playing in a cornfield on her property that was land being rented out to someone. In the late 1940’s Herbert B. THOMAS (my great uncle) was living and working in Howard County, not far from Marriottsville. I imagine he attended Wards Chapel Methodist Church since he was raised Methodist. That is where he likely met Alice. They married around 1950. Alice was about 40, and Herbert about 60. 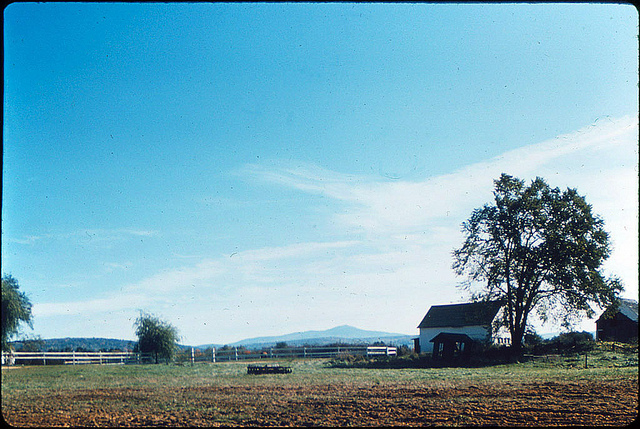 A small 2-bedroom house was built on Carrie’s property for Alice and Herbert. Herbert had lived with his sister, Florrie THOMAS MARTIN (my grandmother), and her family for a time in the early 1940’s. In the late 1940’s when Herbert was living in Howard County, Florrie and her family lived in Maryland, too. They visited when they could. Florrie’s son, Tommy MARTIN (my uncle), married Carol RHOADES and they had two children. One of the children remembers visiting Herbert and Alice at their little house. She says, too, that Uncle Herbert was a nice man. It seems Tommy was close to Herbert and Alice. Tommy often visited out ‘on the farm’, and I believe he farmed a portion of the land himself. 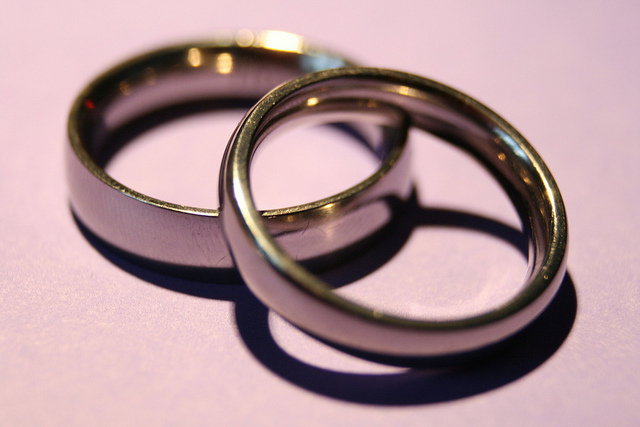 Tommy and Carol divorced, and Tommy married again to Hazel whose last name I don’t recall. In 1962, Hilda died leaving Carrie alone in the farm house. Hilda was only 57. For Alice, this must have been like losing a sibling. I suspect that Carrie moved into the little house with Alice and Herbert when Hilda died. Then in 1964 Herbert died. He was 75. Next was Alice’s father, Melvin, who passed in 1969. The remaining Bedecker family living in the Holbrook/Marriottsville area had dwindled down to Alice and Carrie. 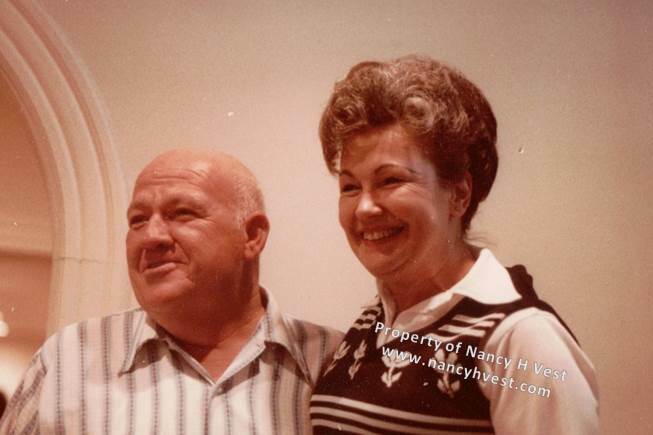 In 1970 Carrie deeded her land to my Uncle Tommy and Hazel. Carrie financed the mortgage, even. The deed was written with a life tenant clause so that Carrie and Alice could live on the property until they passed. And that’s how it came to be Tommy’s property. I am almost positive that Tommy and Hazel were caretaking the property before 1970, though. Carrie passed away in 1975. She was 92. Uncle Tommy passed away in 1978 at 48 from a heart attack. Alice stayed in her little house and Hazel in the farm house. Hazel looked after Alice until Alice passed in 1984. Alice was 72. 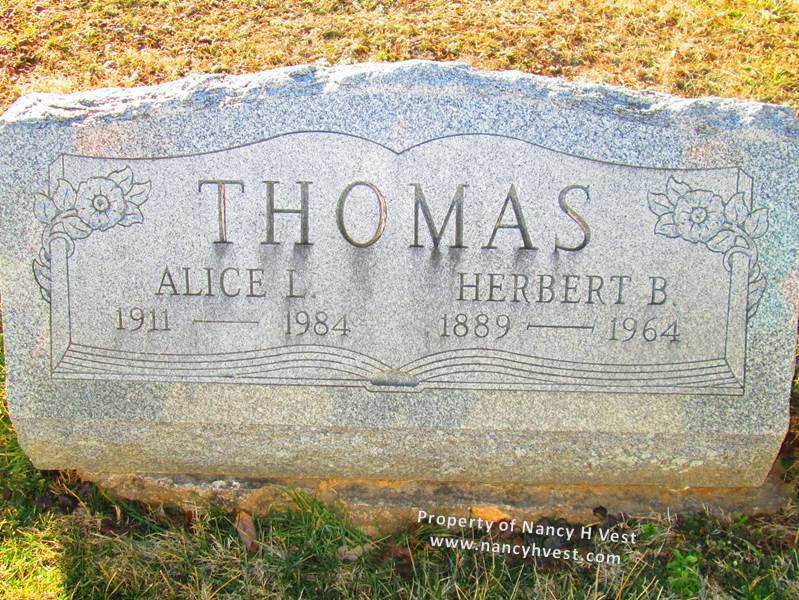 Tommy and Alice are buried at Wards Chapel, Alice next to Herbert. Eventually it was too much land and property for Hazel to take care of alone so she sold it all and moved.